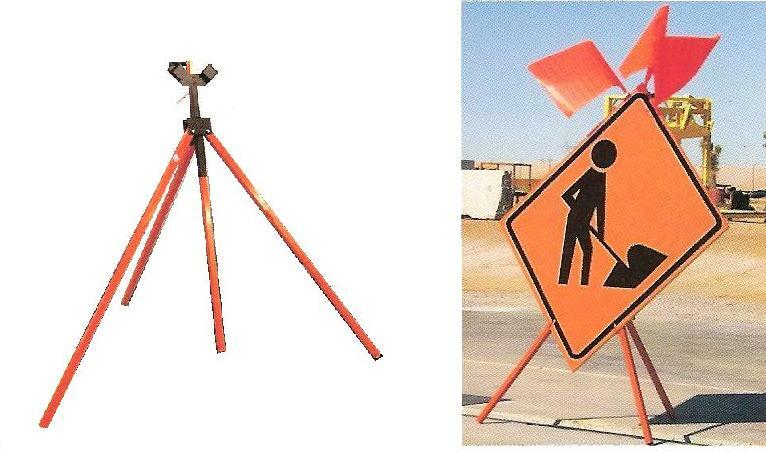 This heavy-duty tripod sign stand has three pivoting legs and a sliding mast that accommodates 36- and 48-inch rollup and rigid signs. It comes with a triple flag-holder and allows for compact storage. Ship weight, 18 lbs.